Climate scientists have hypothesized that the rapid warming of the oceans and atmosphere could lead to more frequent floods and droughts, as well as exacerbate their intensity. With torrential rains sweeping across the state Californians may now be experiencing this first hand. Climate scientists have also hypothesized that the rapid climate warming we’ve been experiencing in recent generations could intensify and raise the likelihood El Niño events will occur. Evidence supporting this theory is also accumulating. Attempting to cope with historic drought, rural families and communities throughout Kenya are foraging for wild fruits and vegetables and trapping insects that often contain toxic chemicals in order to sustain themselves. Adding to the growing health threat, rivers have run dry, so they’re using unsanitary water for cooking and drinking. Similar events are taking place in neighboring Ethiopia and across East Africa, the Inter Press News Service (IPS) reports. 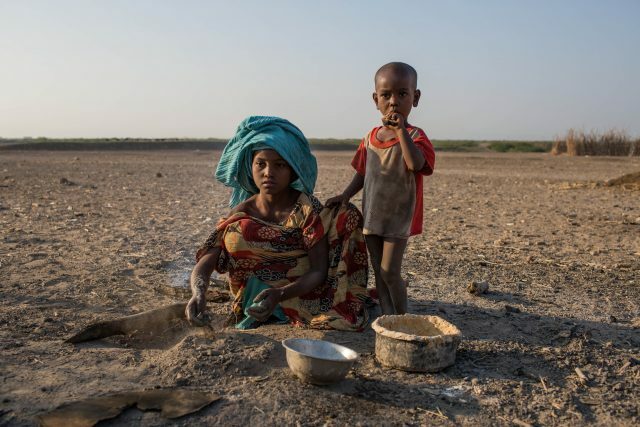 “The most severe drought in decades, which has struck parts of Ethiopia and is exacerbated by a particularly strong El Niño effect, has led to successive failed harvests and widespread livestock deaths in some areas, and humanitarian needs have tripled since the beginning of 2015,” the United Nations (UN) has warned. In Kenya, rural residents are boiling the food they forage in the mistaken belief that it will remove the toxins they contain. “In most of these counties, mothers are feeding their children wild fruits and tubers. They boil them for at least 12 hours, believing that this will remove the poison they carry,” agricultural and soil conservationist Hilda Mukui told IPS. Mukui added that 23 of 47 Kenyan counties are experiencing unusually high temperatures, prolonged rainfall deficits and water shortages. An uptick in deforestation is making matters worse. “We are now facing severe effects of desertification because we are cutting down more trees than we can plant,” Mukui explained. 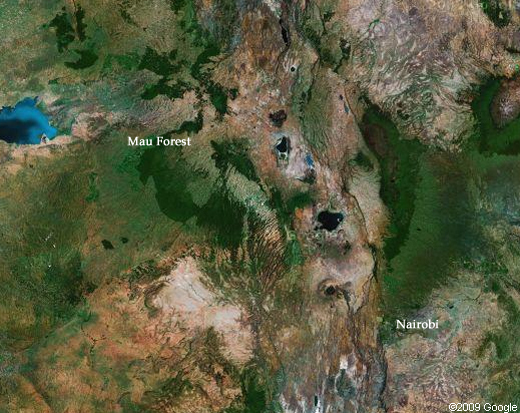 Just 7 percent of Kenya is forested, according to the East African nation’s forest service. Of particular note, an estimated 25 percent of its largest water catchment area, the Mau Forest Complex, has been lost due to human activity. Kenya’s government launched an ambitious reforestation plan as part of its Vision 2030 sustainable development strategic plan, but the initiative hasn’t taken off. Overall, Mukui estimated that at least 10 million Kenyans are “food insecure,” with 2 million of them facing starvation. That’s about one-quarter of Kenya’s 44 million population. Most live in rural areas and rely on small-scale agriculture for their livelihoods, but an estimated 10 million – around 40 percent of Kenya’s rural population – live on degraded agricultural lands. About 80 percent of Kenya’s land area is categorized as arid or semi-arid, according to the UN Convention to Combat Desertification (UNCCD). Home to around 35 percent of national population, once fertile lands in these areas are slowly drying out and becoming unproductive. Examining data over the longer term, Kenya has suffered through 11 droughts since 1975, excluding the one that now looms over the country. UNCCD estimates that investing $1 dollar in reforestation and land revitalization can produce as much as $4 in benefits, and it is providing funding, technical and other resources to improve the dire situation. “What we need is better coordination and concerted efforts among the many stakeholders involved, government, communities, donors and the civil society, just to name a few,” Mukui told IPS. Meanwhile, Californians are bailing themselves out from torrential rains this past week. Meteorologists attributed the downpours to an atmospheric river – a jet stream of moisture that can carry some 10 times as much water vapor as the Mississippi River does liquid water at its mouth, Tech Times reported. “Atmospheric rivers have been associated with historic floods including all seven floods on the Russian River in California that occurred between 1996 and 2007 and all 10 of the largest floods that occurred in Britain since the 1970s,” Tech Times reports. 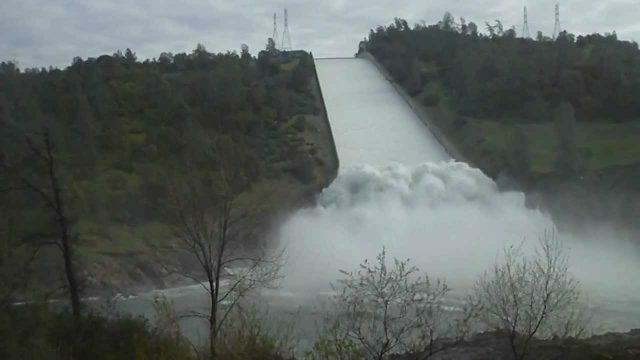 The record-breaking rains brought an end to California’s long running drought, but they also caused widespread flooding and damages.